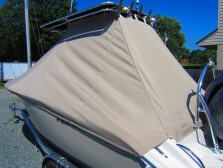 Now is the time to start thinking about repairs, maintenance or replacing your canvas. 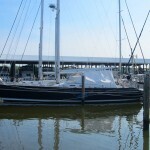 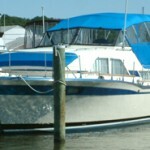 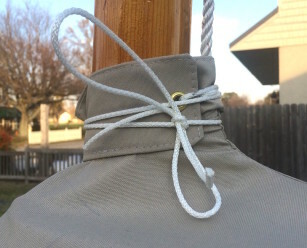 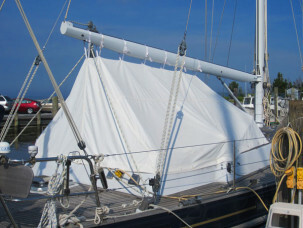 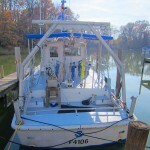 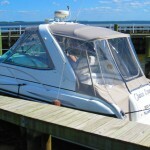 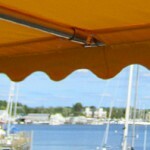 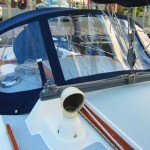 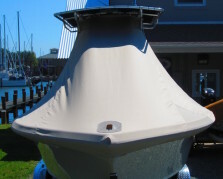 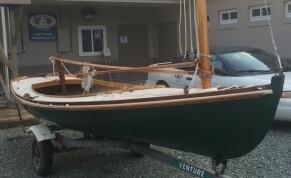 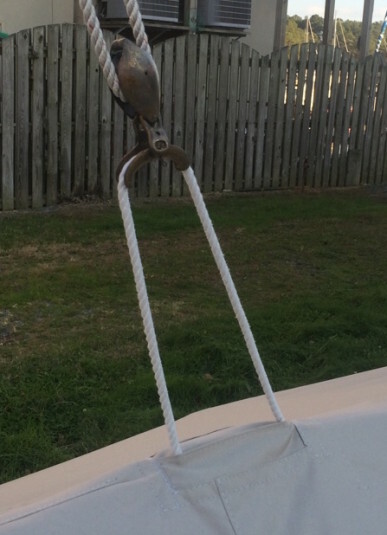 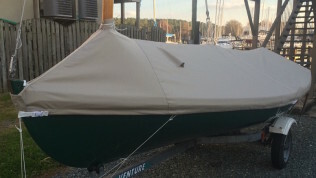 As you make your plans for decommissioning your boat for the season, take a good look at your canvas. 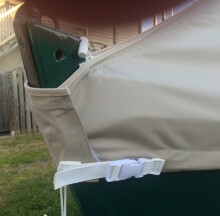 Does it need couple new zippers, or maybe some restitching. 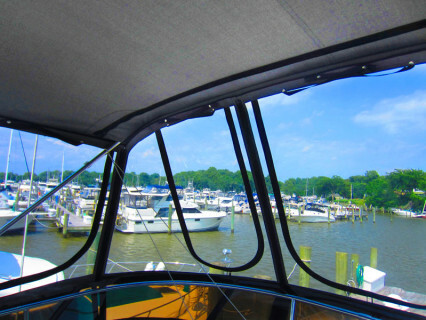 Are your windows so foggy and brittle that you can no longer see out? 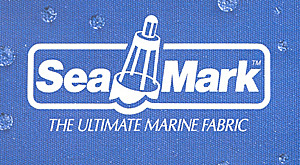 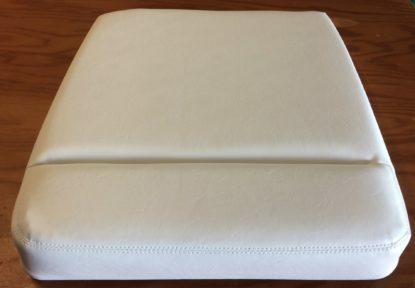 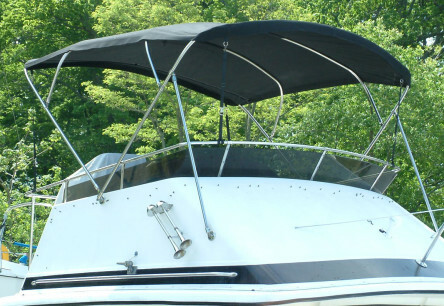 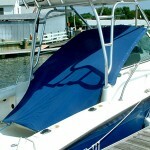 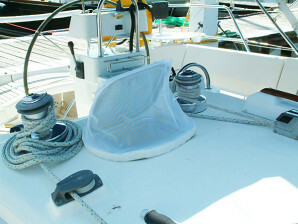 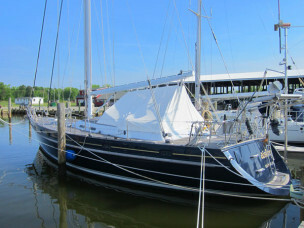 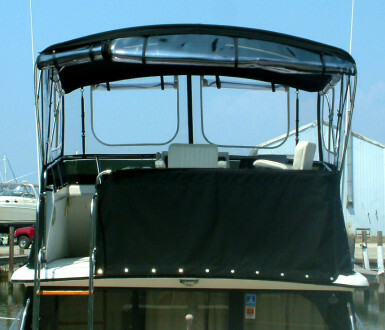 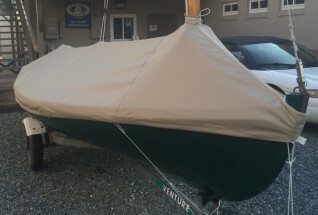 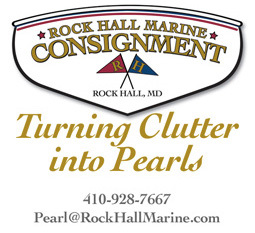 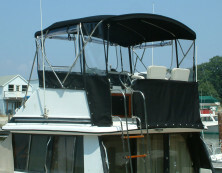 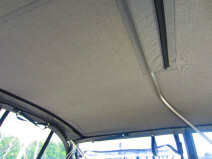 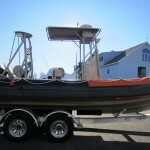 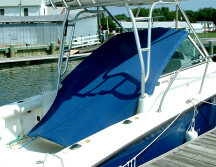 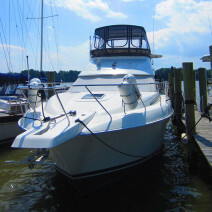 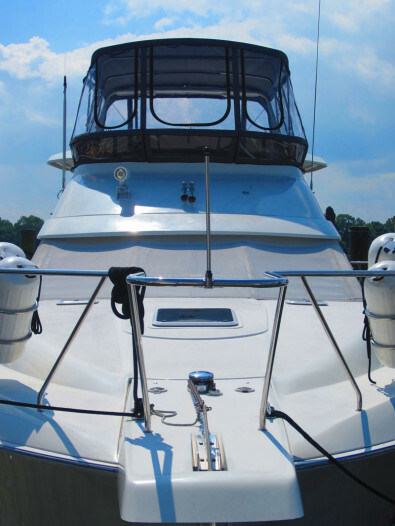 Need a new Bimini? 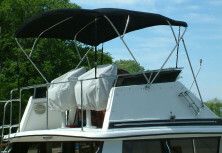 We can take your frame for the Winter and have a new one ready for the Spring. 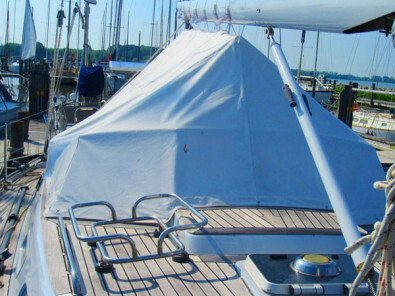 These are all perfect Winter projects. 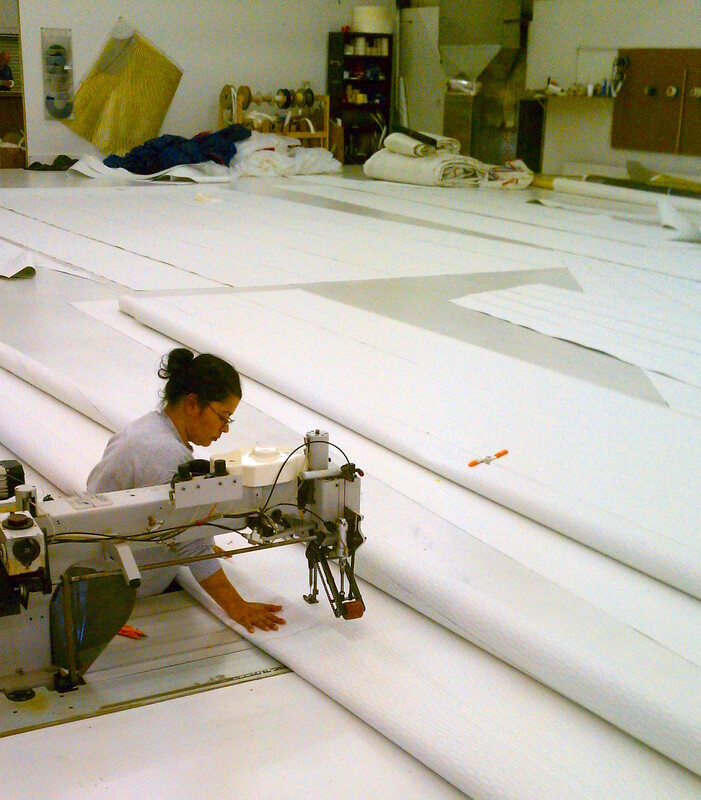 Most canvas shops get real busy in the Spring. 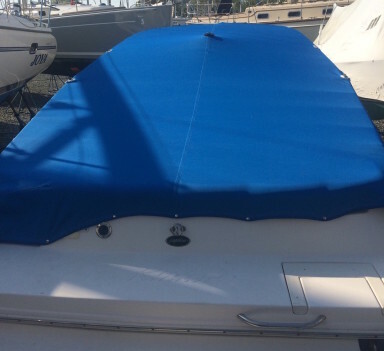 Schedule your work now so you will have your canvas in tip-top shape come next season. 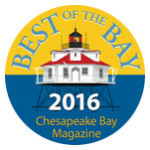 To all of you who voted for us – Thank You! 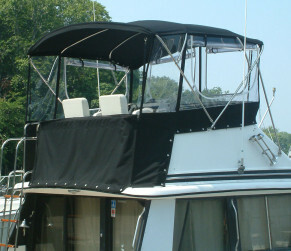 At first I thought the Charcoal Tweed Sunbrella was going to be too dark for such a large boat. 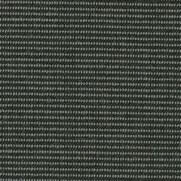 But Sunbrella’s tweed patterns add a nice touch of color without getting too dark (or in some cases, too light). 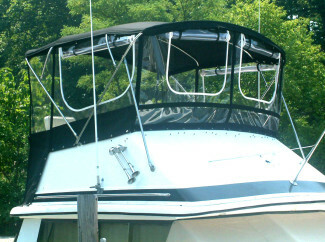 Solid black would have been too much, and the grey would have washed the boat out. 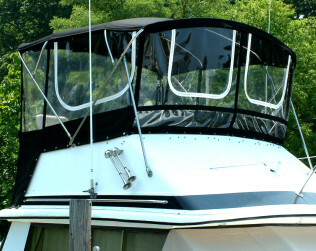 This was the owners call all the way. 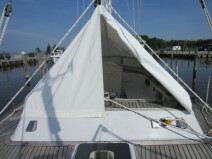 Great call Audrey & Tom! 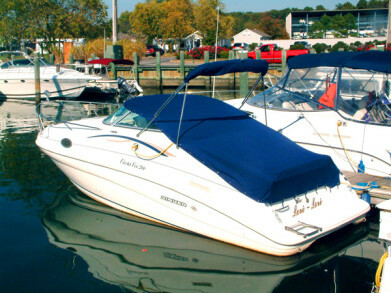 Your boat looks fabulous!!! 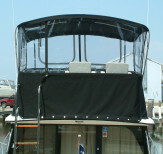 We designed this enclosure with two big front and side windows to increase visibility and airflow. 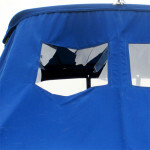 We also designed the aft window and doorway to either be rolled up or removed completely. 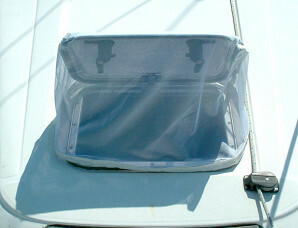 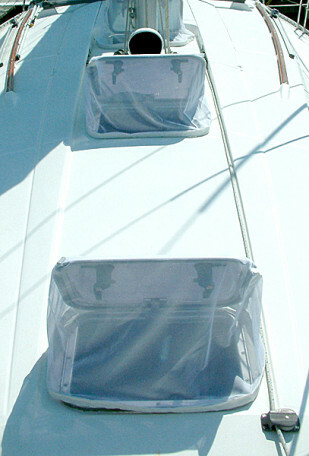 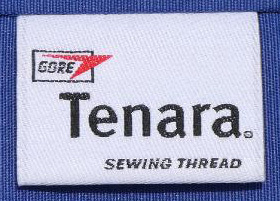 The aft window is a separate panel from the skirt below. 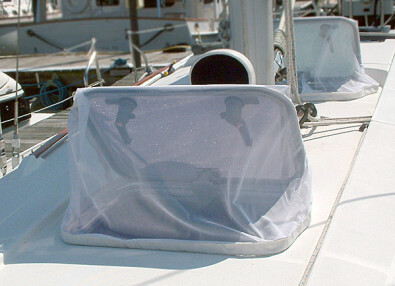 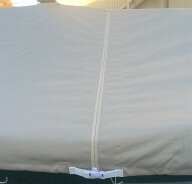 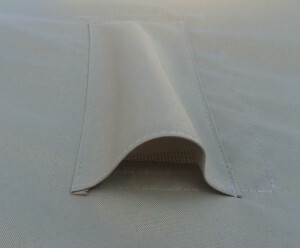 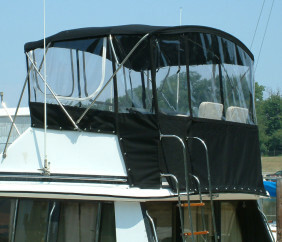 This allows for easy removal (or roll up) of the window without the hassle of unsnapping the skirt from the lower deck. 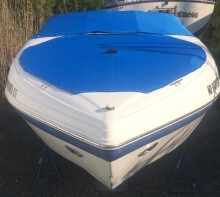 Leaving the skirt on also gives the boat a more finished look.